I could not be more thrilled for our fast approaching Mother's Day! This is my first REAL Mother's Day besides having my step-daughter and 3 fur babies. It just feels really special to be a Mother now to my sweet, little, amazing daughter! Nordstrom has the B-E-S-T Mother's Day Gift Guide here. I decided to break it down a little more to share some of my favorite picks for you. Laura Mercier makes the most scrumptious smelling body creams. I am just obsessed with the pineapple phone case and polka dot bag and you know I am a new mama now with putting the robe up here. 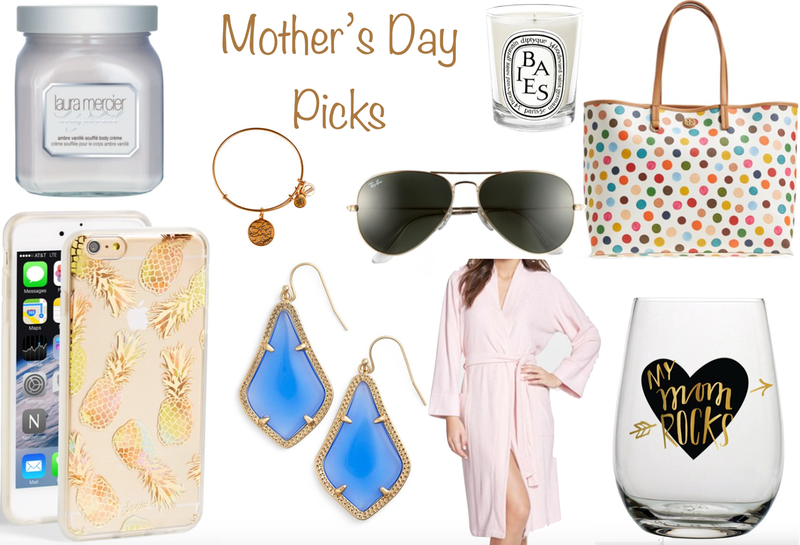 As always, you can never go wrong with anything Kendra Scott, Ray-Ban or candles!! Wishing you all a wonderful Mother's Day! !